Over the weekend John made me a Chicago-style pizza. He promised nearly a year-and-a-half ago to make me one and often forgot that promise. To be fair, I forgot to remind him (maybe nag him) more during that time frame. I got a text from John on February 12 promising to finally get that pizza that week. It didn’t happen until February 25. But it finally happened. Yum. A Chicago-style pizza is labor intensive. So as John finally went to work on it, I got to see the process every step of the way because John gleefully showed me the dough when he first rolled it out. Then when it was rising. Then when he put it in the pizza pan. Then when he put it in the oven. Then when it came out of the oven. You get the idea. This is not the man I married. The man I married coming up on 21 years on March 8 was a professional paintball player and owner of a paintball magazine. That is not domesticated! His previous career before paintball was as a musician–you can stereotype that one correctly. When we got married he had no furniture to move into our home together. Which I’m grateful for because we didn’t have to make any “compromises” on keeping his what-could-have-been undomesticated stuff. He could only cook some very good Italian dishes but beyond that he knew nothing. Around 6 years ago we started watching Food Network’s Chopped and now he is cooking nearly everything. I’m grateful for that as I cooked for most of my roommates and then for myself the 10+ years I lived alone and then for most of this marriage. As John often says, cooking is like writing music. Lastly there is this fact, his father was never a role model on how to be a good husband. Yet somehow over these past 21 years he has become a good—and domesticated—husband. This is not the man I married. 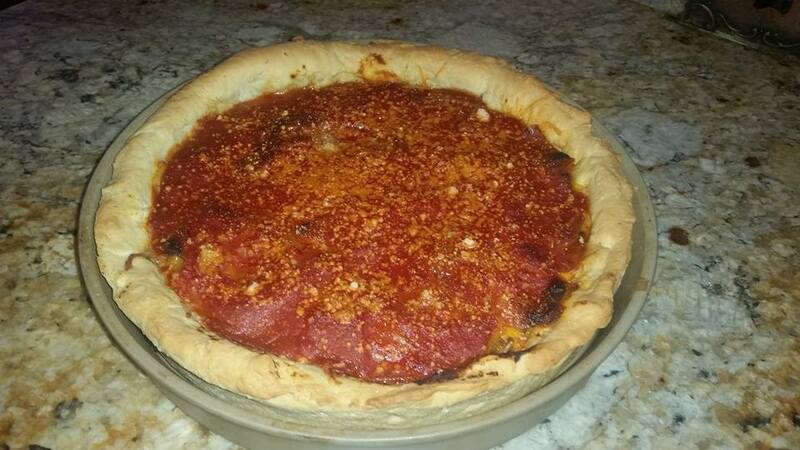 This man I married put on Facebook his proud creation of a Chicago-style pizza. Where he got 68 likes and plus-10 comments from his friends/fans in the paintball and church world. He’s so cool. He really is. As this awe-inspiring thought swirled in my mind on Sunday as I watched every step of this pizza being made, I thought of a paper I wrote back in college in 1986. It was the dreaded literature requirement and I waited til my last semester to take that one. 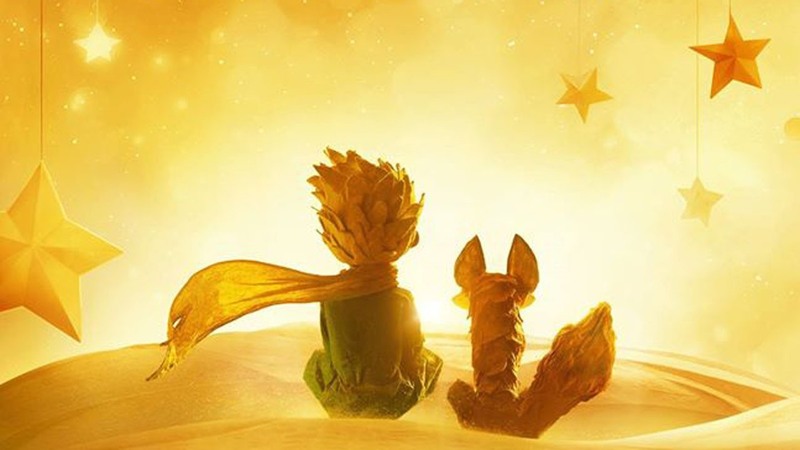 It was in that class that I discovered the beautiful book, The Little Prince by Antoine De Saint-Exupery. I was particularly drawn to the fox that the Little Prince met and how the fox taught the Little Prince about taming. I wrote my paper on that, which is a poem. I was early in love in that season of my life and I thought this poem expressed so well what I knew of love and wanted from love. I wrote it with my heart full of that early love. Here is that poem pulled out of my files from 1986. There is an act all too often neglected. And it will probably hurt. This act all too often neglected is taming. And that is why it could hurt. You were just one among a thousand others. And you had no need of me. You need to keep a little distance. You can’t rush into taming. Someone can get scared off. Just look at each other. Everyday move a little closer. They are the source of misunderstanding. Slowly learn to be together. Just let me know I can count on you. Everyday observe this proper rite. Then my heart shall know when to be ready to greet you. And I will anxiously await your coming. My heart will leap for joy when we are together. And wonder if it has done you any good at all. Because laughter becomes sweet music to me. I would not laugh at your dumb antics. I would not have listened to your dreams. I would not have cried with you. Because you are unique in all the world. The mind cannot understand why laughter becomes sweet music. It is the time wasted for you that makes you so important. And that makes you unique in all the world. Thirty-two years later I still believe this poem, this Little Prince and his fox, expresses what love is like. So many truthful nuggets in there. I have found this love to be true. Not with that guy from the 1980s but with someone whom I met 10 years later. I never compromised or contorted myself to rush this love. I remained vulnerable. I grew into ties being established. Now John is unique in all the world to me. His laughter has become sweet music. His constant need for attention while making a Chicago-style pizza is sweet music also. This is how John became domesticated. He has been tamed. And so have I. Get to know this Little Prince and his fox too. You will find a love like this. You will be tamed too.